Black Rose Enchantments is a new age shop on Etsy with tarot readings, charms and creations that caters for wiccan, pagan, zodiac and steampunk tastes. At the start of the month we visited White Rose Witches and so, to balance things up, let’s visit Black Rose Enchantments today. 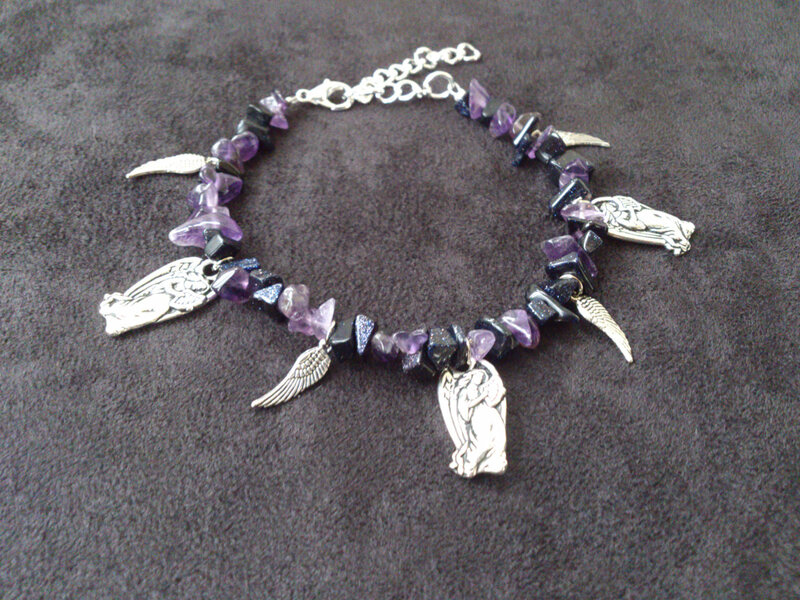 Black Rose uses amethyst, blue stonestone, silver toned metal charms and lead free pewtwe angels on this bracelet. It is one of the most significant items in the store. 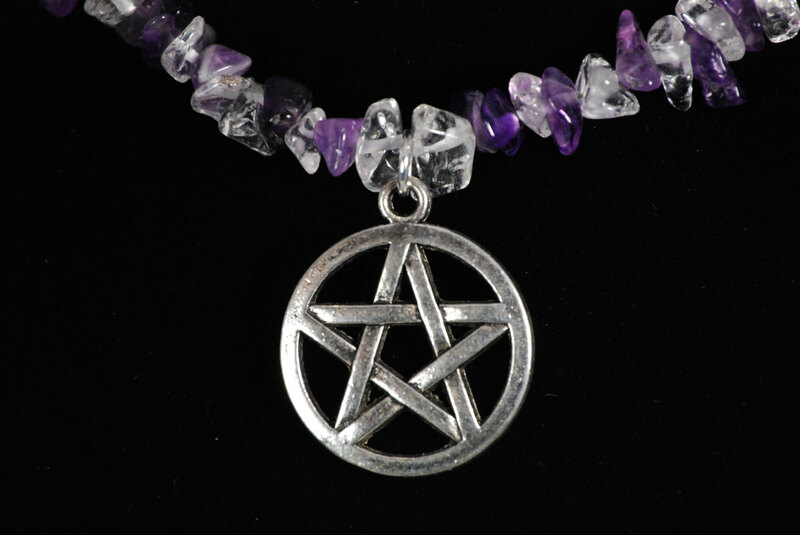 At the time of writing there’s only one of these handmade pentacle necklaces left. In addition to the amethyst, they’re made with quartz and a silver toned metal charm. In addition to buying items from Black Rose you can also invest in insight and wisdom. 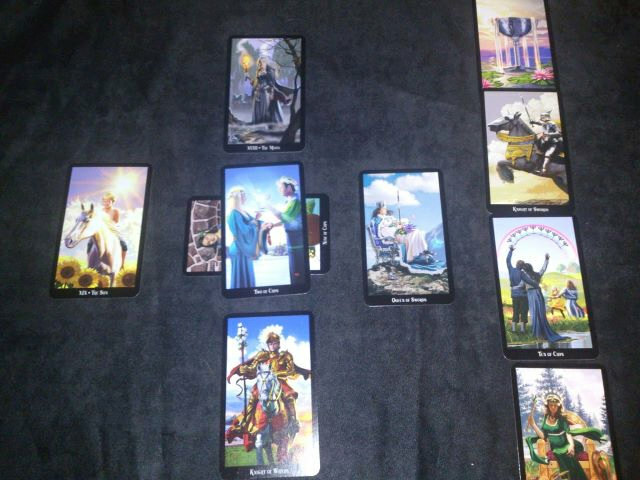 This reading using the traditional Celtic Cross spread and will address any situation or question you wish to put, according to Black Rose. Have you had any experience in giving or taking Tarot readings over Etsy? It would be a blessing if you would share your thoughts in the comments below.